Something that’s right in front of your eyes is sometimes the hardest for you to see. 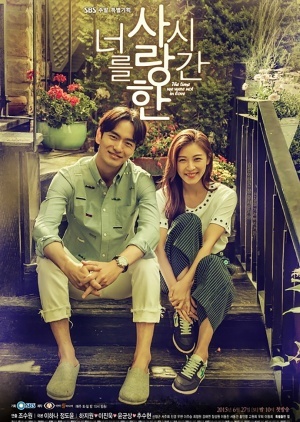 Jang Ha Na (Ha Ji Won) and Choi Won (Lee Jin Wook) have been lifelong friends. Through thick and thin, they’ve been through many things together in the nearly 20 years of friendship, including relationships that each has had with other people. Approaching her 30th birthday, Ha Na receives an email from Choi Won that jokes about the “symptoms of premature aging”. Angry about the widely held belief that men are like grapes that turn into a fine bottle of wine as they age while women are like grapes that shrivel up into raisins, Ha Na makes a bet with Choi Won that she can get married first before they turn 35. Will Ha Na and Choi Won be able to find their true loves or have they been blind to what’s been there all along?